Amrita, a lawyer by profession, moves ahead in life despite facing insurmountable personal problems. Her indefatigable courage enables her to fight with criminals, including Vikas. ETV Telugu is a 24/7 satellite channel which promises to entertain all the Telugu audience across the globe. The South Indian entertainment channel features serials, movies, festival specials, fiction and non-fiction shows, reality shows, music-based reality shows, infotainment programs, special shows with the stars based on the films, etc. The channel broadcast comedy reality shows like Extra-Jabardasth and Jabardasth. Both the shows are evaluated by actor Nagendra Babu, and an Actress/ Politician Roja and are hosted by Rashmi Gautham & Anasuya Bharadwaj respectively. Few other popular shows from ETV are Manam, Dhee10, Cash, Manasu Mamatha, Ruthu Geetham etc. ETV Telugu focuses on special festival programs and specifies its importance to its community from the time it was launched in 1995. Eenadu Television Pvt Limited is part of Ramoji group which a media conglomerate and has a huge number of dedicated audience to its print and electronic media. 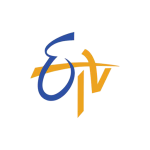 In 2015 Viacom 18 rebranded five ETV regional entertainment channels ETV Marathi, ETV Gujarati, ETV Kannada, ETV Bangla and ETV Odia. ETV Telugu is now made available to the international audience by YuppTV as ETV Live. The channel which is highly popular among the Telugu communities all over the world can be watched on Televisions, Smartphones, Laptops, Computers, and other internet-enabled devices. ETV Telugu Live is Available in United States, United Kingdom, Canada, Australia, Malaysia, Singapore, Europe, New Zealand, Japan, Saudi Arabia, Qatar and UAE.